Anthony McHenry facing Susanoo Magic guard Joe Chapman, Sunday. Kings won the match 62-52 although McHenry could not find the range for his 3-point shots. The Ryukyu Golden Kings struggled against the Shimane Susanoo Magic, but still managed to pull off a pair of victories in contests Okinawa head coach Tsutomu Isa called “miserable”. Golden Kings’ Hiromasa Omiya looks for a way past Susanoo Magic’s Suichi Takada (41) and Tatsuhio Yokoo (55). Playing in front of the home fans, the Golden Kings notched their third and fourth consecutive wins, 67-53 and 62-52. Draelon Burns was the power player Saturday with 18 points, followed by Anthony McHenry’s 17 points plus 11 rebounds, a few steals and a pair of blocks. Kibwe Trim scored 14 as the Kings held Shimane to only 26 points in the second half. Coach Isa said “the only good thing was that Shigeyuki Kinjo, who had knee surgery, could play. Anything else was not good at all.” Still, the wins were enough to leave the reigning league champions at 5-1. Elsewhere in the Turkish Airlines bj-league, the Hamamatsu Higashimikawa Phoenix battled the Takamatsu Five Arrows before the results boiled down to free throws, of which the Phoenix scored 17, to win 82-68. They did it again Sunday against the 2-4 Five Arrows, winning 79-71 to run their record to 5-1. The Iwate Big Bulls headed into Gunma Prefecture for a pair against the Crane Thunders, winning both, 69-58 and 84-70 to boost their young season record to 5-1 in front of crowds of little more than 500. Gunma is now 0-4. The Sendai 89ers found themselves at the charity stripe 31 times and converted on 24 to win over the Niigata Albirex BB 91-80 in their series opener. 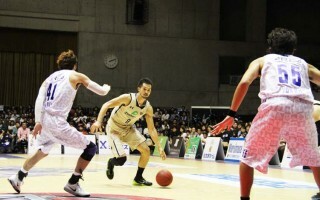 A day later, it was the Niigata squad in the spotlight, winning 76-71 to go 4-2 on the year while Sendai dropped to 3-3. The Toyama Grouses were hot as they ventured into the Tokyo area for a second straight weekend, upending the Saitama Broncos 95-87 and 90-77 for a series sweep. 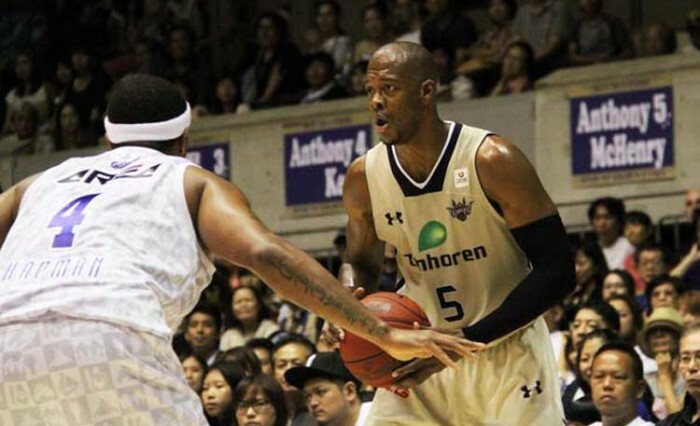 Saitama drops to 0-6 in league play, while the Grouses are 5-1. The Osaka Evessa and the Shiga Lakestars split their series in Otsu, Shiga Prefecture. 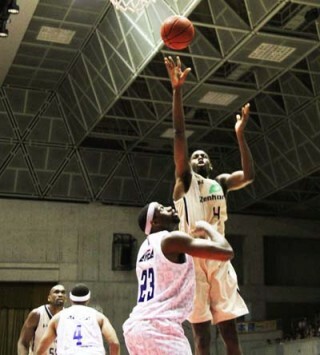 Shiga drew first blood with an 81-59 win Saturday to run their record to 5-0, but found the Evessa tough Sunday as they rallied with a high performance 24-points and a dozen rebounds to win 90-66. The Fukuoka Rizing also shared the spotlight with the Oita HeatDevils. The HeatDevils won 91-83 in the series opener, but the Rizing bounced back with a 77-66 win on Sunday. Fukuoka is 2-4 now, while Oita’s even lower at 1-5. The Aomori Wat’s ended on the short end of a 75-68 score with the Yokohama B-Corsairs in their series opener, but faltered in the second game to lose 75-67. Aomori is now 4-2 after the split, while Yokohama is even at 3-3. Tokyo’s Cinq Reves looked solid in their series opener against the Shinshu Brave Warriors, rolling to a 91-72 victory in that series opener, but struggled in the Sunday afternoon contest to lose 87-75. The Brave Warriors are now 2-2. The Kyoto Hannaryz had an easy time Saturday against the Nara Bambitious, racking up point after point to win 1-53 to remain unbeaten. Six Hannaryz players were in double figures as the home team swept the series.